Jagannath Gupta Institute of Medical Sciences & Hospital, the Radiology &Imaging Services is a highly specialized full-service department which strivesto meet all patient needs in diagnostic imaging and image-guided therapies inclose proximity with the hospitals of the region. 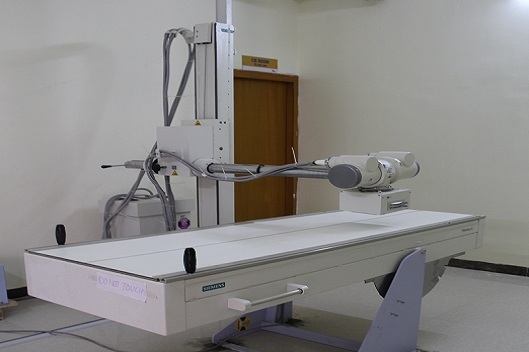 The state-of-the-art imaging equipment includes open high-field CT scanner 16 Slice, USG, coloured Doppler. Using these devices, our trained radiologists provide high-level service to the patients who are in need of radiology services. Based on the reports, the concerned physicists recommend the treatment to be given to the patients. We take every care to ensure patient comfort,safety, and well-being before, during and after the medical procedures.